Der Film "Zement" setzt sich mit der Vergangenheit und Gegenwart einer Wohnsiedlung auseinander, die unmittelbar nach dem zweiten Weltkrieg auf dem Gelände eines ehemaligen Konzentrationslagers errichtet wurde. Wasserleitungen, Kanalisation und das Straßensystem des Lagers wurden übernommen. Materialien teilweise verbaut. Der erhaltene Torbogen des Lagertores führt noch heute in die Häusersiedlung. The film "Cement" grapples with the past and present of a residential development built in the aftermath of World War II on the site of a former concentration camp. The housing development retained the erstwhile camp's water supply, sewage system, and roads, and reclaimed some of its materials. The arched gate to the camp still stands to this day, and leads into the housing development. „A ferry crosses a lake, accompanied by a Gustav Mahler symphony. 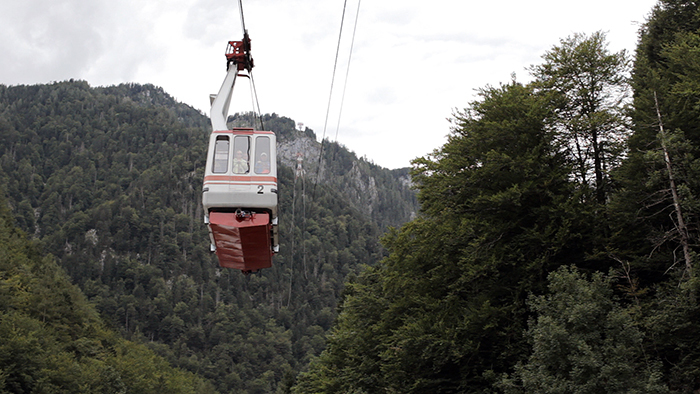 Although this beginning of Zement signalizes a Heimatfilm (a sentimental film in a regional setting), Bettina Nürnberg and Dirk Peuker are after something different with their documentary essay. 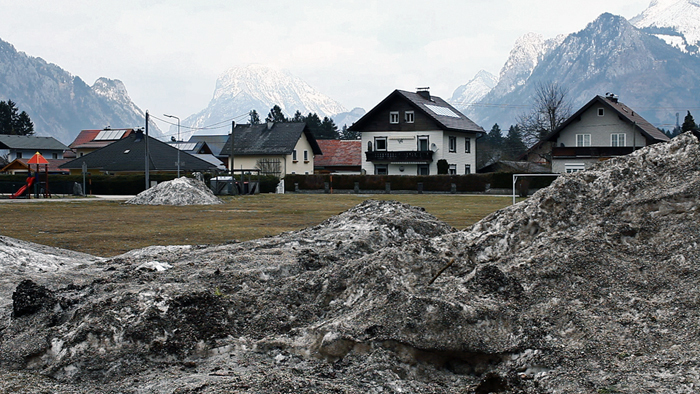 In what at first glance are idyllic landscape images from the Salzkammergut, they expose traces of the Nazi past. An official remembrance culture seems to point to them only sparingly, a bit bashfully, meaning that the corresponding signs in the images are difficult to represent. The Nazis set up a concentration camp in Ebensee. Nürnberg and Peuker wonder what conclusions they can draw from the topography about dealing with the past. The takes remain static; a woman’s voice dryly contributing information from off screen is all that clarifies the context within contemporary history. A site that looks like a dirt road turns out to be the “Löwengang (Lion’s Walk),” which the camp’s prisoners were driven down like animals to reach a tunnel that had to be dug. „How could you make yourself feel comfortable living in a house built on land where thousands of people died via state-sponsored genocide? Dirk Peuker and Bettina Nurnberg’s short film “Zement (Cement)” doesn’t directly ask the people who live in such a housing development. The directors’ restraint will spark broader discussion beyond the specifics of the film.Ebensee Concentration Camp liquidated 8,000 Jewish unfortunates before its liberation by the Allies in 1945. 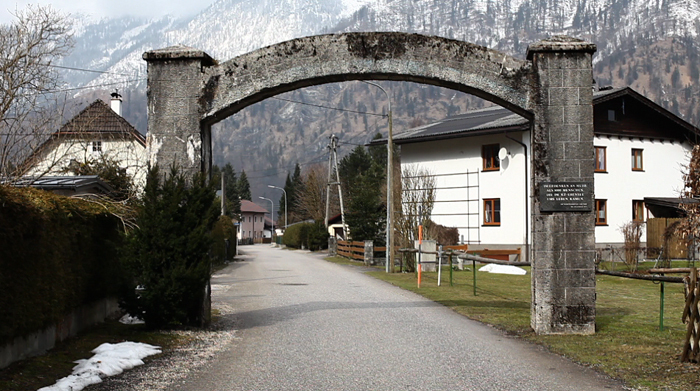 Not even two years after Ebensee’s liberation, housing started to be built on such camp sites as the place where Jewish corpses were incinerated. In the present day, aside from historical markers, suburban housing has supplanted the old camp buildings. Peuker and Nurnberg lets the viewer decide whether the Ebensee housing development symbolizes reclamation or historical denial. Repurposing the land formerly occupied by the camp could be called a cleaning of the toxic emotional pollution of Nazi genocidal deeds. 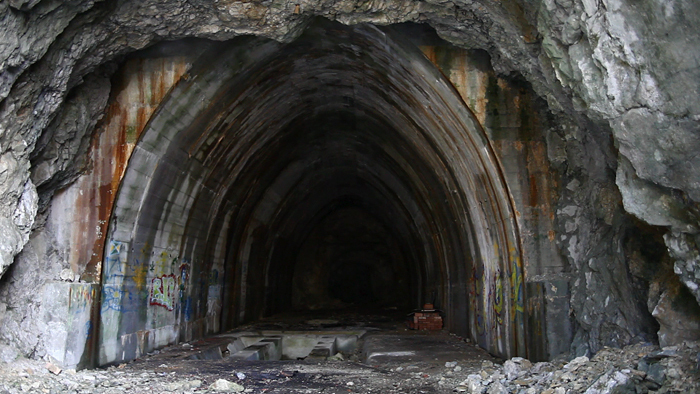 An early reference to a Nazi rocket storage site now turned into a private firing range does suggest the conversion of Ebensee is neither an aberration nor unique.